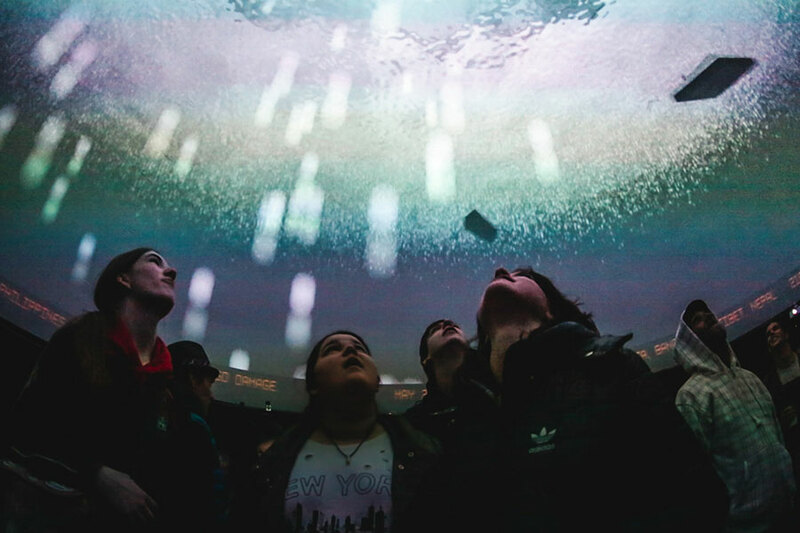 Fulldome.pro erected a 12 meter/40 foot closed dome in the grounds of the Royal Ontario Museum to show the environmental art piece Zero Hour at the Nuit Blanche (White Night) festival in Toronto, Canada. 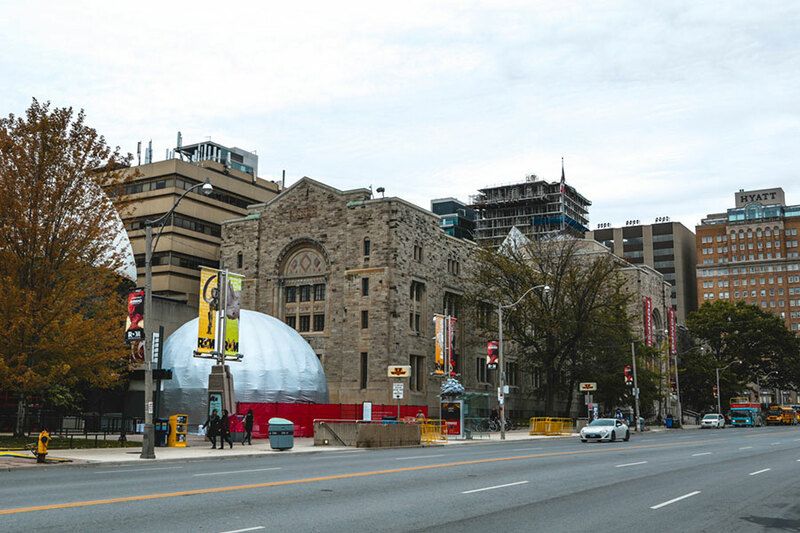 Zero Hour was created by Elle Flanders and Tamira Sawatzky of Public Studio, a Toronto based collective art practice, and depicts a climate change induced, apocalyptic weather scenario impacting the city. 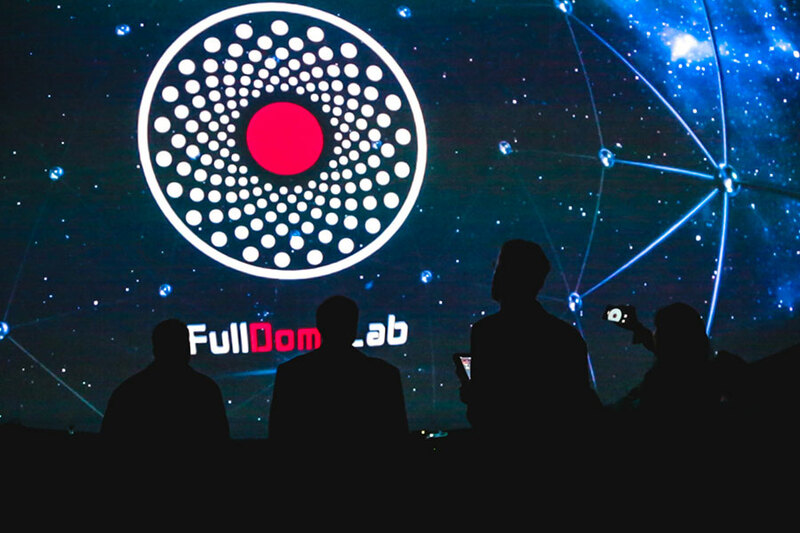 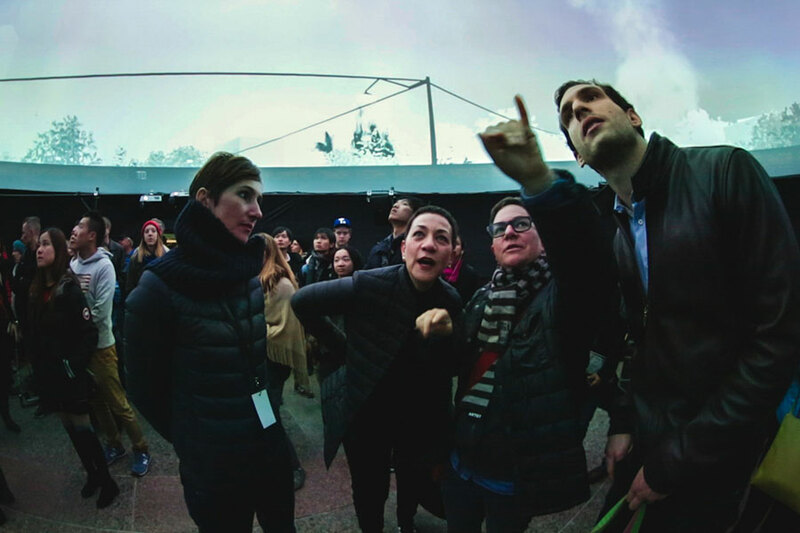 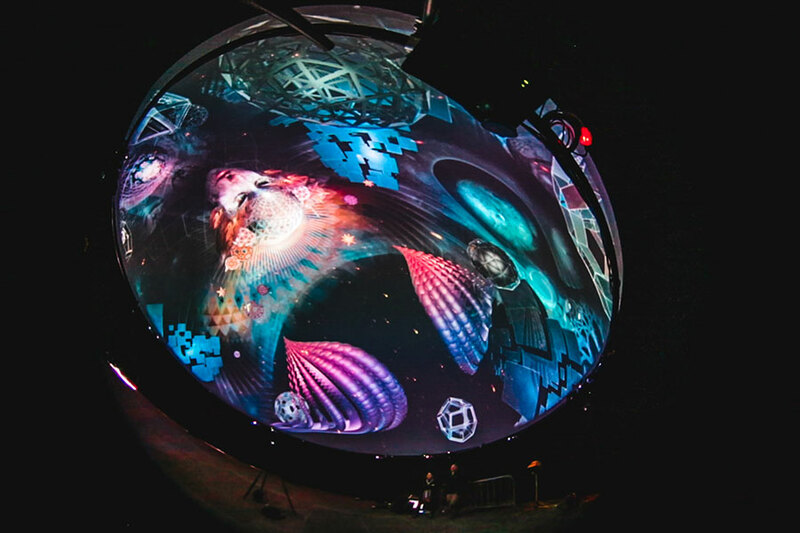 We used twelve projectors to achieve a bright 5K resolution image on a raised screen that allowed the audience to enter the dome, walk around, view the piece and exit again without the need for ushers or seating and without casting shadows. 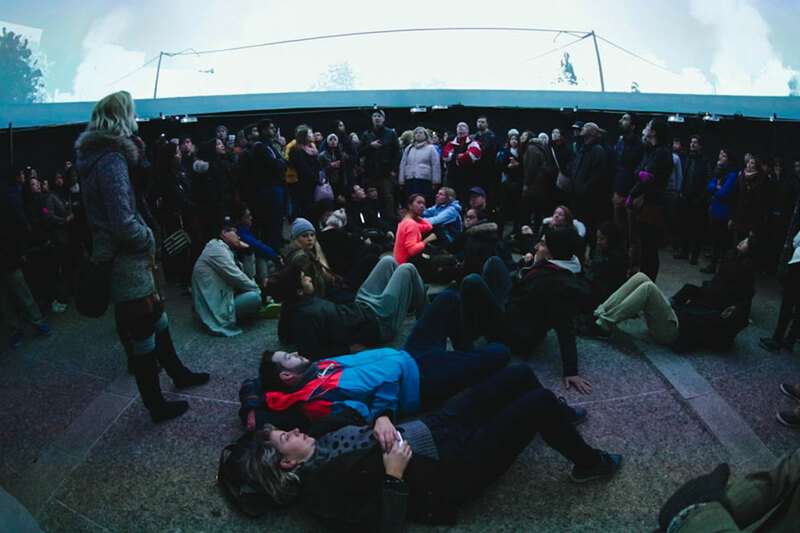 Throughout the night there were long lines waiting to view Zero Hour, so it was unsurprising that it was chosen by some critics as one of the best events of the festival. 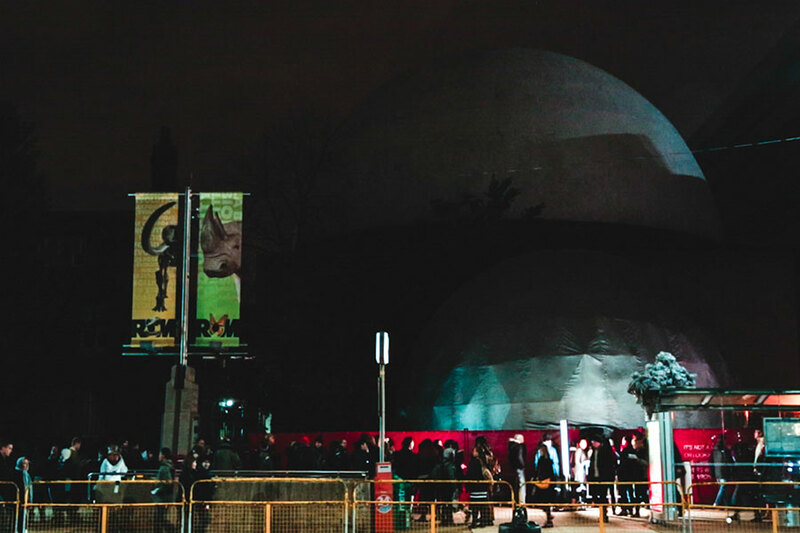 Nuit Blanche is the world’s largest over-night art festival with more than one million attendees. 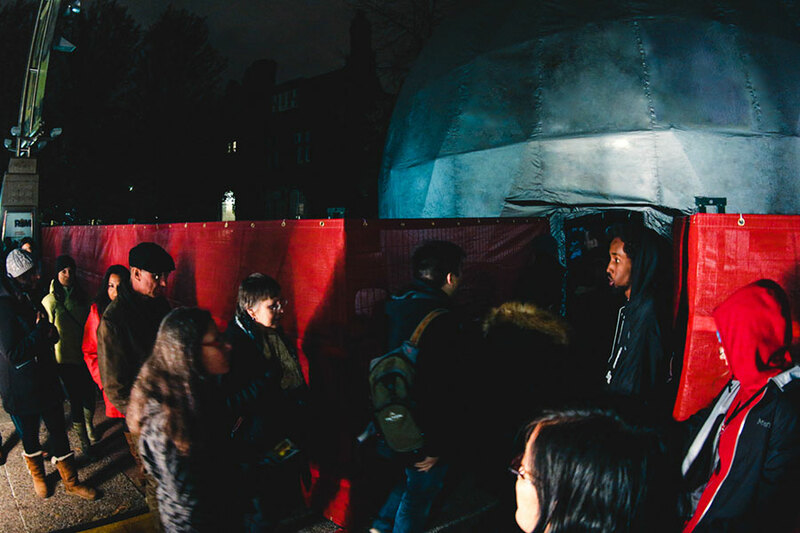 There are several other Nuit Blanche inspired festivals held around the world every year.